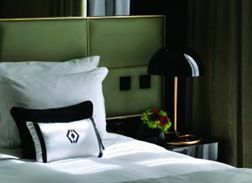 Brand new purpose built 5 star boutique hotel with 68 guestrooms and two suites in one of the best city centre locations. The building dates back to the 1940's and offers guests a taste of the glamour of that era. The hotel has a rooftop restaurant and bar offering panoramic views of the city and is ideally located for sightseeing and business. The hotel is located between the most majestic avenues in Lisbon, the Avenida da Liberdade and Baixa and the Rossio railway station is just a few minutes walking distance away. Credit cards accepted: American Express, MasterCard, Visa. The Hotel offers a 50sq m Conference Room with natural daylight, a business centre and wireless internet access all around the Hotel. Conveniently located in Lisbon\'s City centre, offering views to the exclusive Avenida da Liberadade and downtown Lisbon. Assistance provided by reception staff for tours in Lisbon and Surroundings (Cascais, Sintra, Fátima, etc). Restaurants, Shops, ATM, Metro, Bairro Alto and Chiado.